Fig. Western Blot analysis of K562 HeLa Jurkat cells using Jun D Polyclonal Antibody. 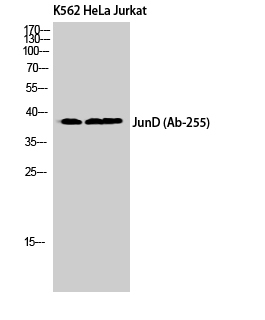 Jun D Polyclonal Antibody detects endogenous levels of Jun D protein.